Diatomaceous Earth is also known as diatomite. It is a naturally occurring, soft, siliceous sedimentary rock that is easily crumbled into a fine white to off-white powder. 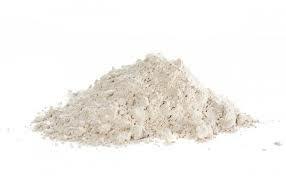 We are named among the renowned Manufacturers and Suppliers of Diatomaceous Earth. We formulate Diatomaceous Earth using the latest techniques at our hygienic production unit. One can obtain Diatomaceous Earth from us in small as well as bulk quantities. Bulk Density 0.3 to 0.4 gm/cc.